Even as most of Kerala is eager to welcome the monsoons, there is one community in Kochi that really wishes the rains would stay away. You would find this community, if walking through Veli Street in Fort Kochi, you suddenly pick up on the lilting refrains of old MGR melodies or classic Rajinikanth tunes. As you enter the gate marked Dhobi Khana, the music grows clearer and louder. The first sight that greets you inside the gate is an array of men and women ironing clothes with these songs providing a musical background. Most of them are old and grey haired. Pass through into the next portion of the three-acre compound of the Khana, and you see 40 wash pens lined up in a row. Although a huge washing machine stands in the first wash pen, no one seems to use it. 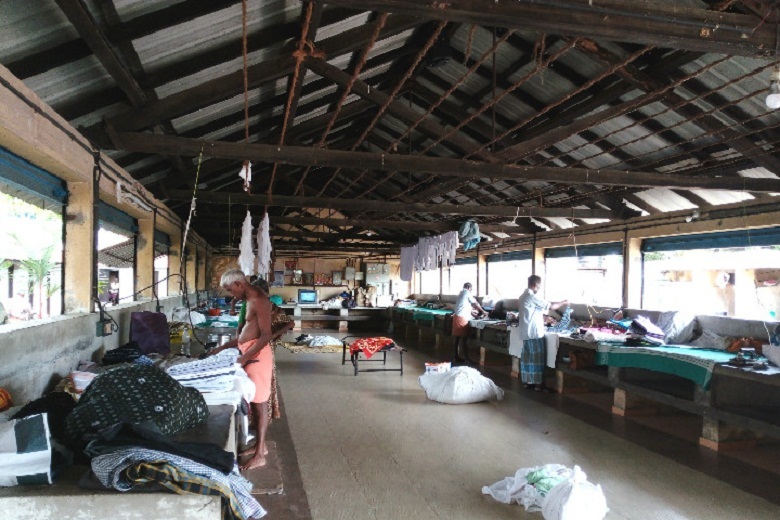 This is what might possibly be the only Dhobi Khana (community laundry space) in Kerala, existing in the city successfully for many decades, thanks to a fair number of Kochi citizens who prefer their clothes washed by hand. The origins of the dhobi khana lie in the colonial period, when British officers brought many Tamil villagers to Kochi to work as washermen. 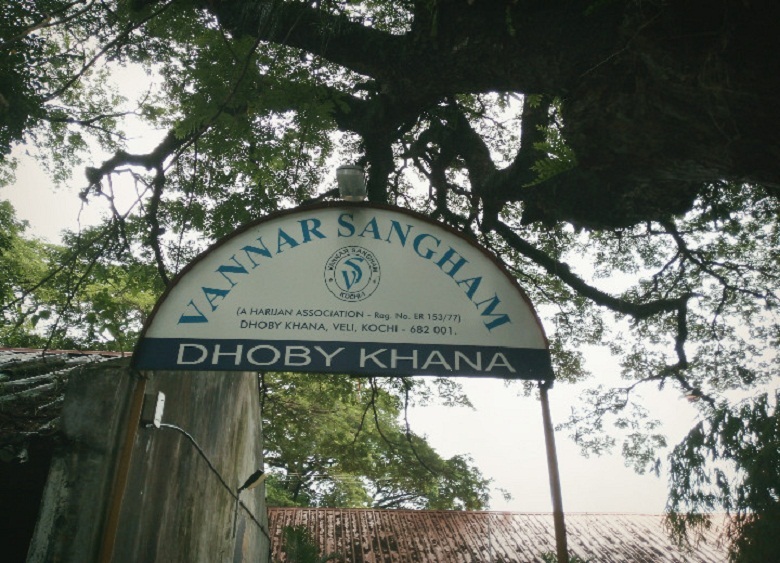 This Tamil community was first organised together in the 1920s, and came to be known as the Vannar community and has retained its cohesive identity over the years. The first dhobi khana was organised under the Madras Presidency. The current structure in Veli was built in 1976 by the GCDA (Greater Cochin Development Authority). At present, there are about 40 families in the community who use this Khana. Each cubicle with wash pens and water tanks is allotted to one family. “Technically nobody is allowed to use anyone else’s wash pens. 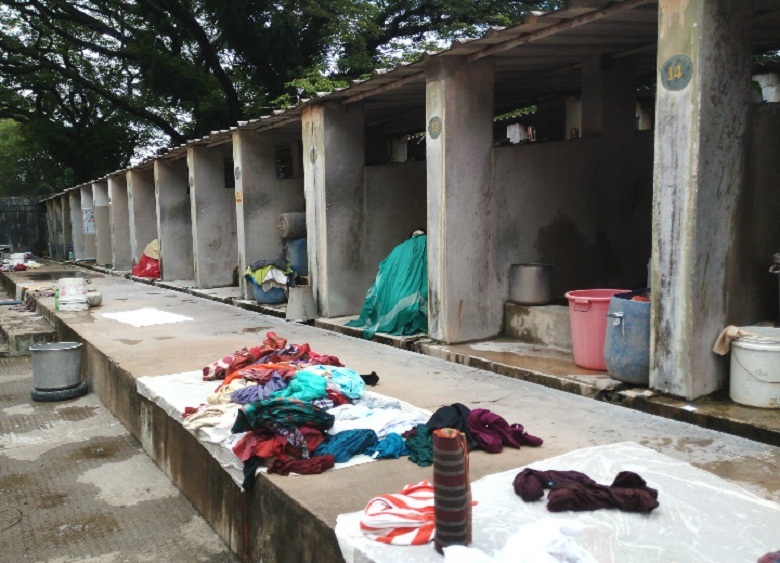 Usually men wash clothes and women in the family help them dry and iron the clothes,” Pradeep Kumar, Secretary of the Vannar community told The News Minute. These washermen offer laundry services to houses, hospitals, hotels, hostels and some government firms. 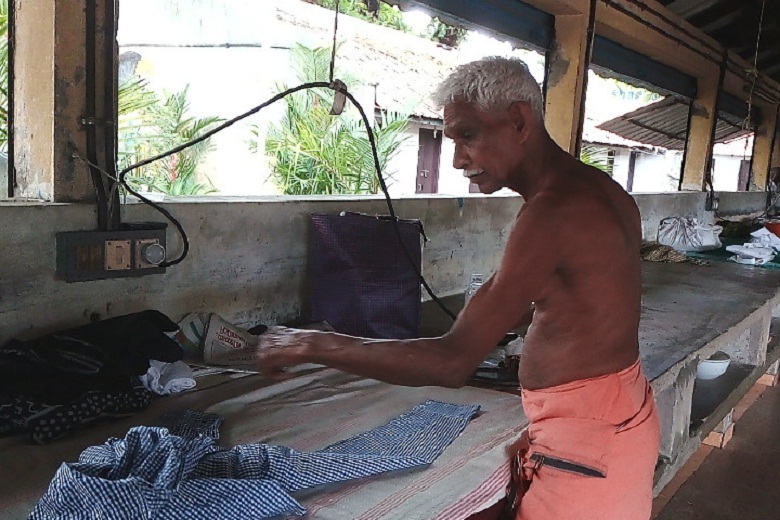 75-year-old Murugappan, who started doing this job when he was 15 years old, says that they still rely on traditional, elaborate procedures for washing clothes. “First we soak the clothes in water mixed with detergent for some time. Harder clothes are washed by beating them on the stones. To remove stains easily, a pinch of chlorine is also used. After that the clothes are rinsed twice in fresh water,” he says. 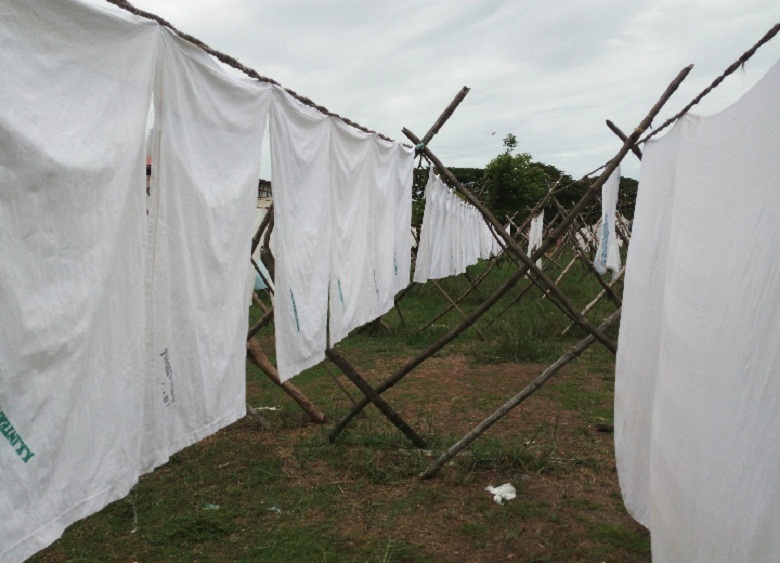 “Then, women from the family hang these washed and starched clothes in the sun. We dry the clothes for almost 5 hours,” he says. Interestingly, no one here ever uses clips to keep clothes from falling off the line; instead they all use a technique of tucking clothes between the ropes in such a way that they are never disturbed by the wind. But as with many older ways, most of the people at the dhobi khana say that theirs is a dying profession. Meanwhile, as another monsoon looms around the corner, those who work in the dhobi khana say the coming months are the toughest time of the year for them. “We use dryers during the monsoon but without the sun it becomes really difficult. We have to be present in the Khana all day, to take the clothes down when it rains and hang them out again when it stops,” says Kamalamma. According to Pradeep, incomes for those working here drop to almost half their regular level during the monsoon. “For older people, and the majority of them are older, it is very hard to overcome the monsoon,” he says.